Born from a passion for catching fish and sharing his love of the outdoors, Captain Scott Valleskey started Angler Sportfishing in 2012. Captain Scott has guided many clients to personal best fish and tasty fish fries. This year, Captain Scott brought Captains Phil Stodola and Andy Zegers “on board” to help get even more happy clients out on the water. Angler Sportfishing’s mission is to get people to enjoy the great outdoors, teach clients the best ways to catch their target fish, and help clients make memories that will last a lifetime. 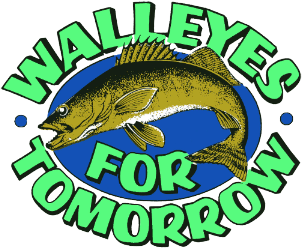 Scott Valleskey has been fishing the waters of Green Bay, Lake Winnebago and Lake Michigan for the past 25 years and would love for you to join him! Captain Scott brings a ton of experience fishing these waters to the table and is more than willing to share the locations and techniques that have made him a successful fisherman. 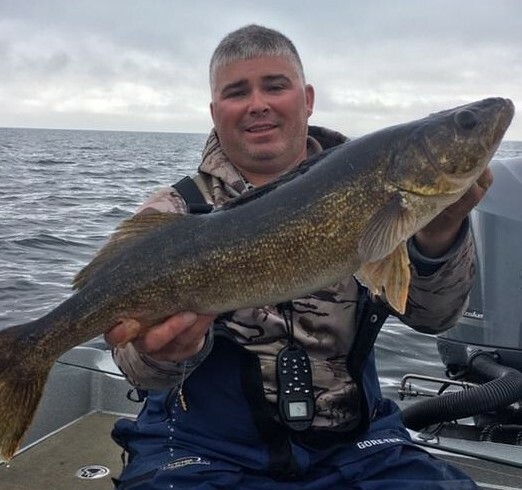 Scott is a NPAA member and an accomplished walleye tournament angler and continues to fish events in the MWC, AIM, NWT, SWC, and the Green Bay Walleye Series. Phil Stodola is a USCG certified Captain and NPAA Member with an obsession with catching trophy fish! 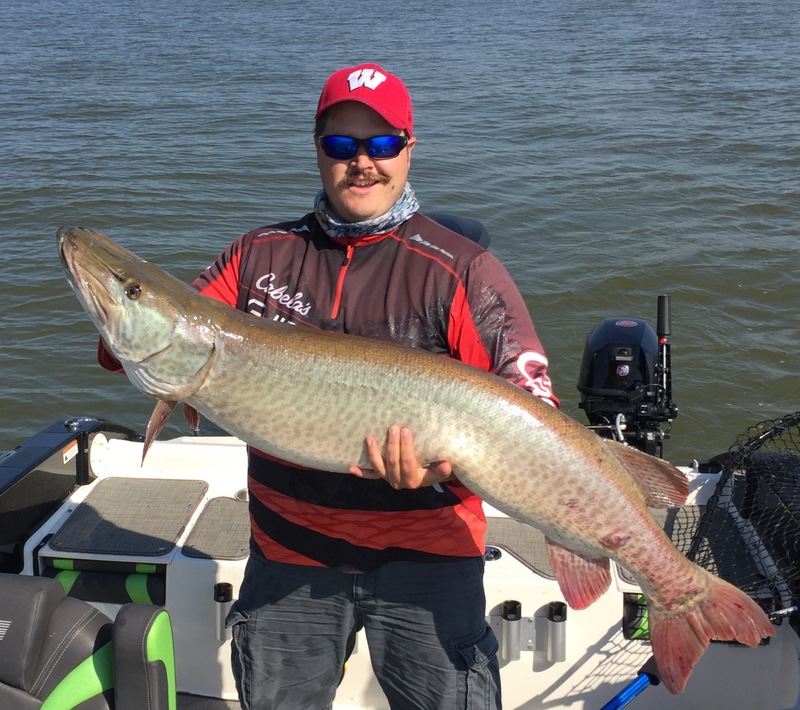 Phil caught and released the biggest Musky registered in the Titletown Muskies Inc Chapter in 2016 and 2017, winning him the Ron Myslek Trophy and a free replica mount from Lax Reproductions each year. 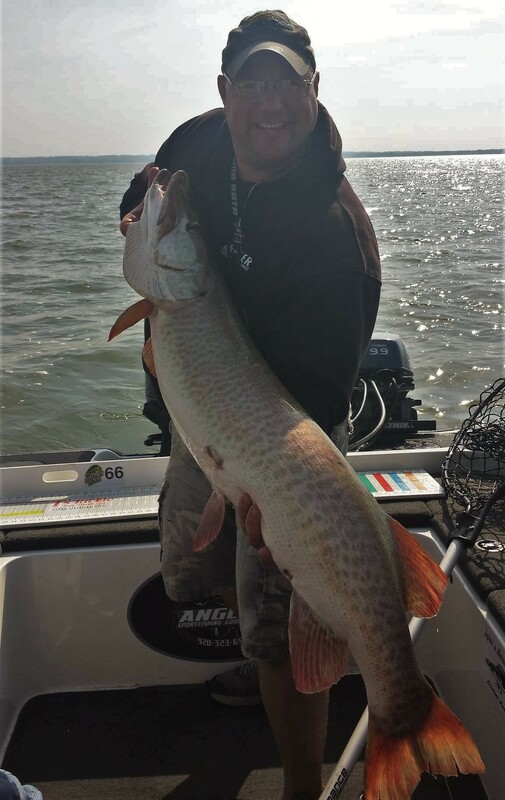 He loves catching big Walleyes and helping people to their first, or new personal best Muskies! 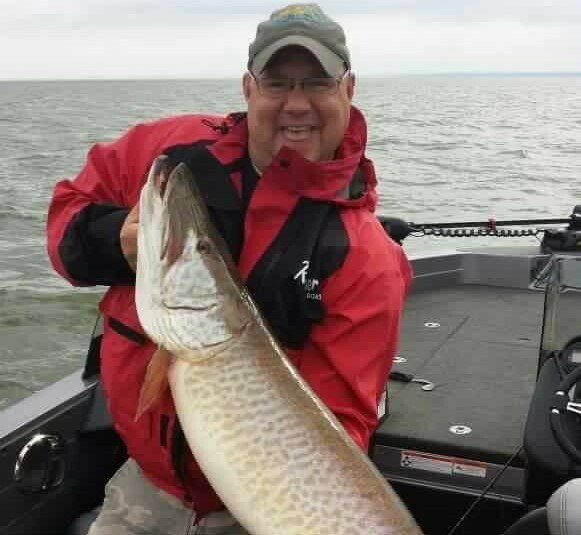 Phil has fished Musky tournaments in Vilas County as well as on the Bay of Green Bay. Phil is excited for the opportunity to share his knowledge of Green Bay, Sturgeon Bay, and The Fox and Menominee Rivers with you and your group. Phil is enthusiastic and can’t wait to share in the experience of your fishing adventure. Captain Andy Zegers grew up fishing the waters of Green Bay and Lake Michigan. Andy is a multi species guide and avid tournament fisherman fishing some of the best waters across the country. Andy is an accomplished tournament angler. He fishes or has fished in the Cabela’s NTC, MWC, as well as the NWT, and Green Bay Walleye series. When Andy is not chasing giant walleye and salmon he enjoys taking kids hunting and helping others enjoy the outdoors. Refer A Friend for 10% Off your Next Guided Fish Trip! Like and Follow Our Facebook Page for the latest fishing reports and to catch photos! Call or Email us about upcoming Fall Trips! Check Out Our Fish Stories - What's working, where we're catching! If a client books a half or full day fishing trip with us, and lets us know that a previous client has referred them to us, the referring client will get 10 % off on their next guided fishing trip. So book your trips, and tell your friends!